Free LovableLunch Notes from Sara Lee® Bread! This is a sponsored post for Back to School, but as always opinions are 100% my own! Can you believe that the Summer has already come and gone?! 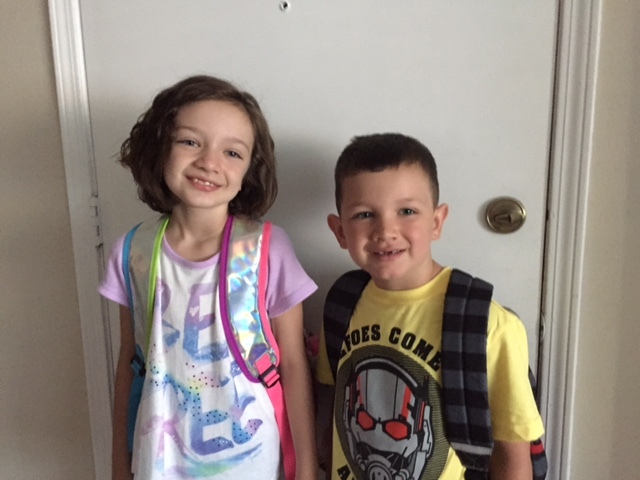 My kids both went back to school this morning. The silence in the house is deafening! 😉 I still cannot believe that I now have a 3rd and 2nd grader! It seems like yesterday that they were Oliver’s size! As much as I may have been at my wits end with the noise all summer, I have to say, I do miss them and of course want to make sure they know that as well. 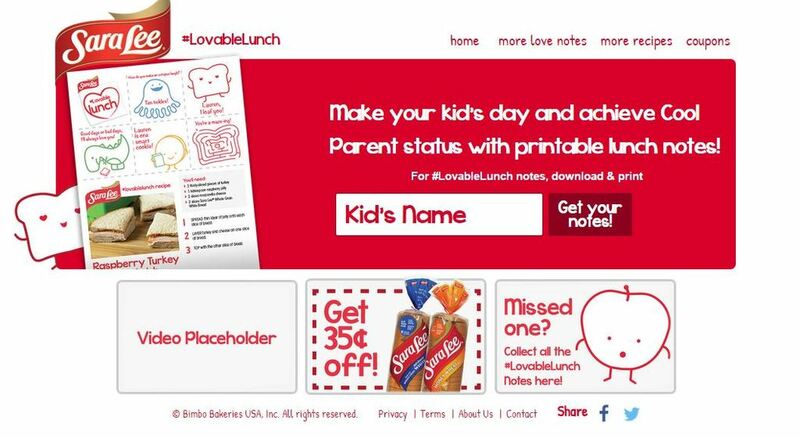 Sara Lee® Bread is launching a Back-To-School campaign called “Lovable Lunch Notes.” And they even have an awesome website where you can easily print some pretty sweet notes for your kiddos to remind them that you are thinking of them even when they are at school. Even better? They are FUNNY too! Tristan, my son, just started 2nd grade today. The beginning of 1st was a rough ride with him in tears day after day about how he ‘missed me’ etc.. Of course I had to be firm even though his tears tore through me every morning. So I really appreciate that these are LIGHT-hearted and funny. Something that will make the kids laugh, vs. just missing mom. They are very easy to make too! You can have them personalized with your child’s name when they come off the printer! Just head over to the Sara Lee® Bread page and make some for your kids! There are THIRTY of these notes that they can pick from too! Plus, of course I can’t talk about Sara Lee® Bread without talking about the bread itself right?! This is generally my “go-to” choice for sandwiches for the kids. They fit perfectly in those little sandwich containers or a ziploc sandwich bag too. Oh and did you know that they have 18 different varieties of bread too? Definitely something for everyone! Tristan is a huge fan of bologna (yuck!) and Kylie prefers to stick with something like Peanut Butter and Jam (or honey). What are your kiddos favorite sandwiches? 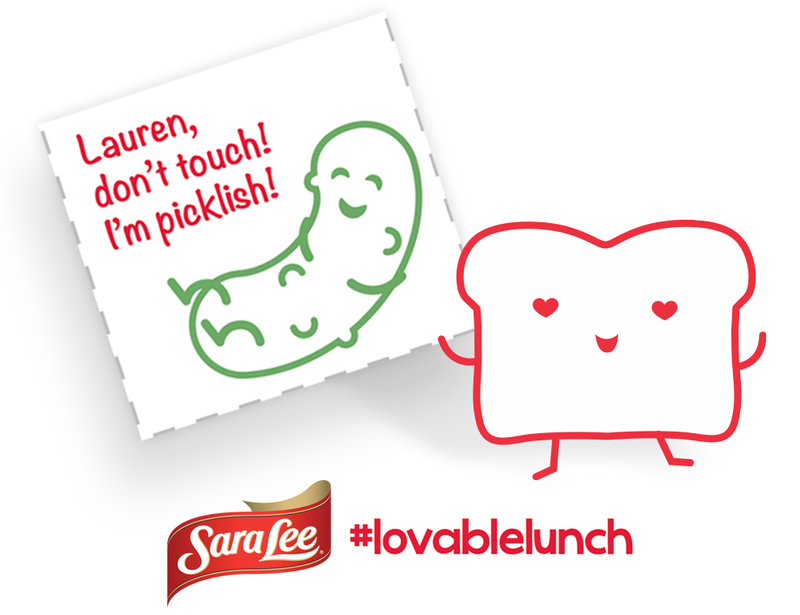 Be sure to check out this fun You Tube video about the Sara Lee® Bread Lovable Lunch Notes too!